Secondly, I love that the moulding paste yields slightly different results if you allow it to air dry or if you dry it using your heat gun. (Now you may already know this but I was rather thrilled with my ingenuity drying the moulding paste with my heat gun!!!) When I let the moulding paste air dry, it had a texture similar to clothes drying on a clothes line - a bit stiff. When I dried the moulding paste with my heat gun, the moulding paste puffed up a bit and then flattened when cooled; the cooled moulding paste had a slightly smoother texture. You might inquire why I would mention this?? Well, both textures are fabulous but alter my application of an after product like Art Anthology glazes or more gelatos or Viva Decor Ferror Metal Textures. 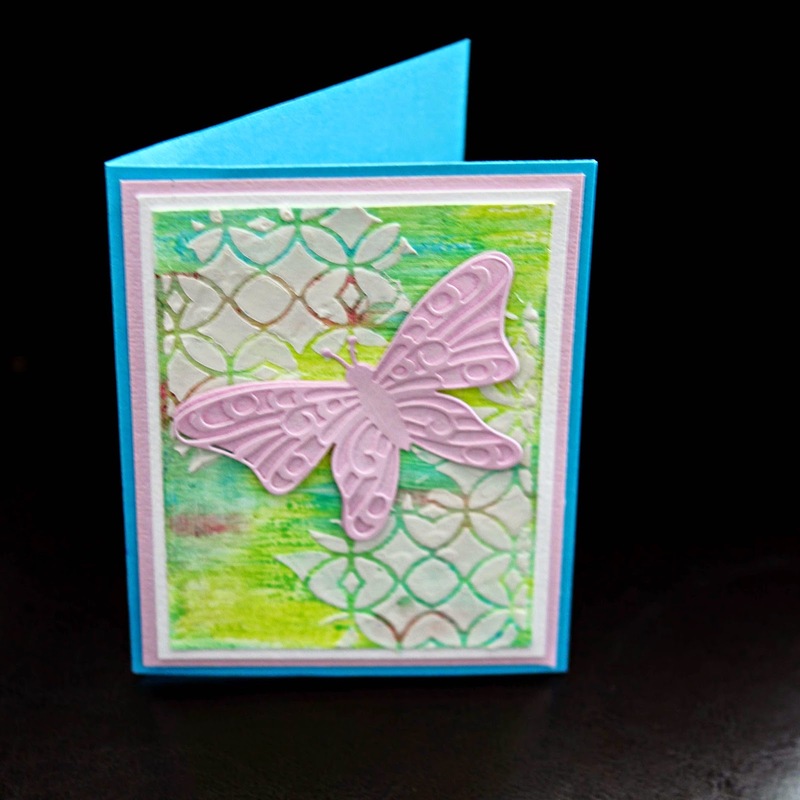 For this card, I smooshed on some gelatos and smudged it with my fingers to create the background. With an older stencil from The Crafters Workshop, I applied the Teresa Collins moulding paste and let it air dry. For this card, I was dried the moulding paste with my heat gun. Not sure if you can see the surface of the moulding paste but it dried slightly smoother than the air dried version. 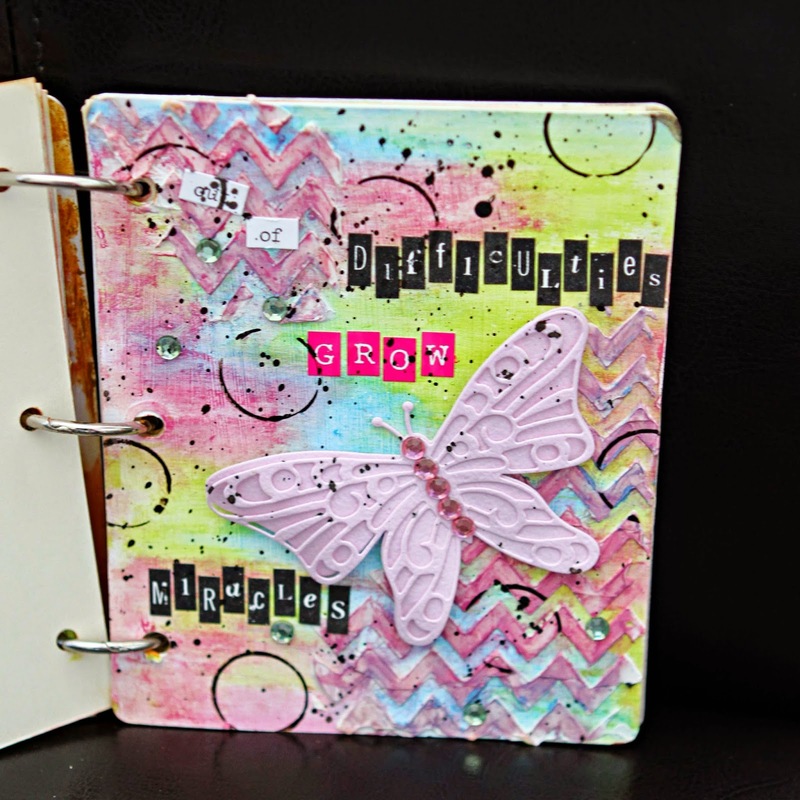 For this page in my mini journal, I used the Studio Calico chevron stencil with Teresa Collins' moulding paste. After letting it airdry, I "water coloured" a gelato and water mixture onto the moulding paste. The moulding paste absorbed the gelato and water mixture beautifully. I hope I have inspired you to try gelatos with moulding paste! Let me know your thoughts! 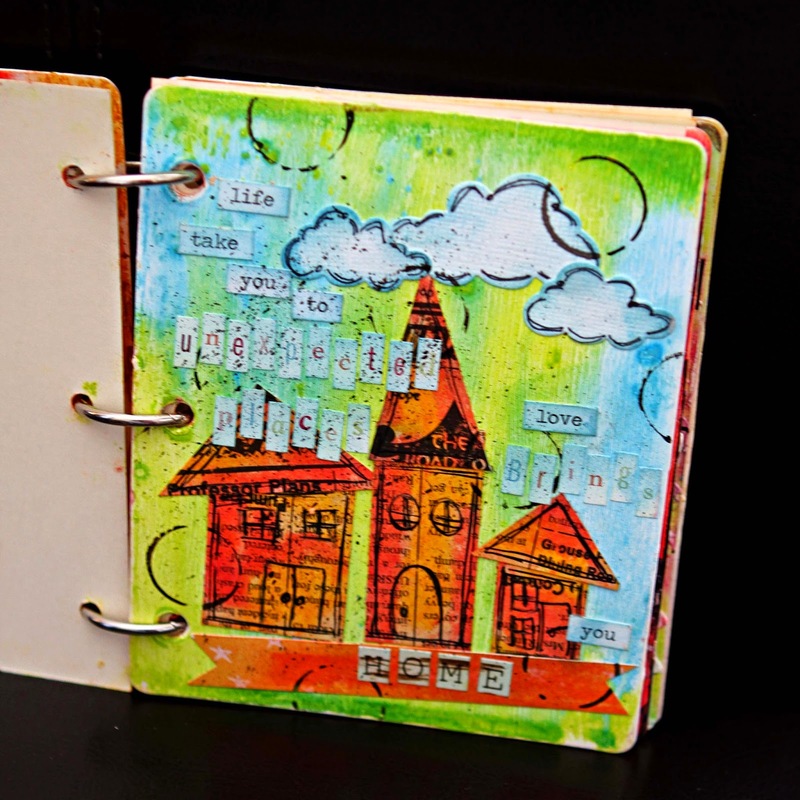 I have really been having fun with the Faber-Castell Gelatos Set as well as the Faber-Castell Mixed Media Mini Journal. Below are the first 3 pages of my journal. 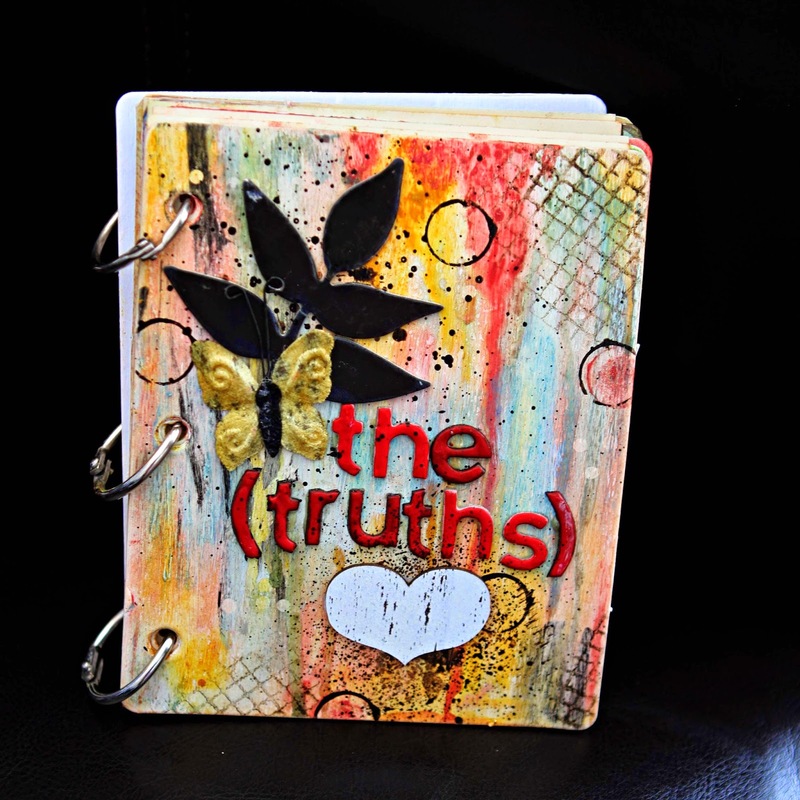 The primary goals of my journal was to capture quotes that inspired me, to try various techniques with the gelatos and experiment with the various products which complemented the gelatos in my journal. When I created the title page of my journal, I was very very green with gelatos. I watched countless YouTube videos by the Faber-Castell design team and Donna Downey. What stood out the most to me was how creatively liberating working with gelatos could be. You can pair as many or any combination of colours together. You can blend the colours in any manner you choose or you can let each colour stand on their own. Honestly the possibilities are endless! For this title page, I gingerly attempted Donna Downey's drip technique by adding swatches of colour throughout my page, misting liberally and tipping it upright, letting the watered colours dribble down the page. I let the drips dry...well, I helped it with my heat gun too. Then I had some fun! With my Kaisercraft grid stamp, I coloured the stamp with a gelato, lightly misted the coloured stamp and then stamped the edges of my title page. Then I spritzed a quarter sized amount of Mr. Huey onto my Tim Holtz Non-Stick Craft Sheet. Using the cap of the mist, I stamped circles on the front and tapped off the excess mist from the cap to create splotches. After the colours dried, I adhered the chipboard fern leaf, alphas, wood veneer and butterfly. 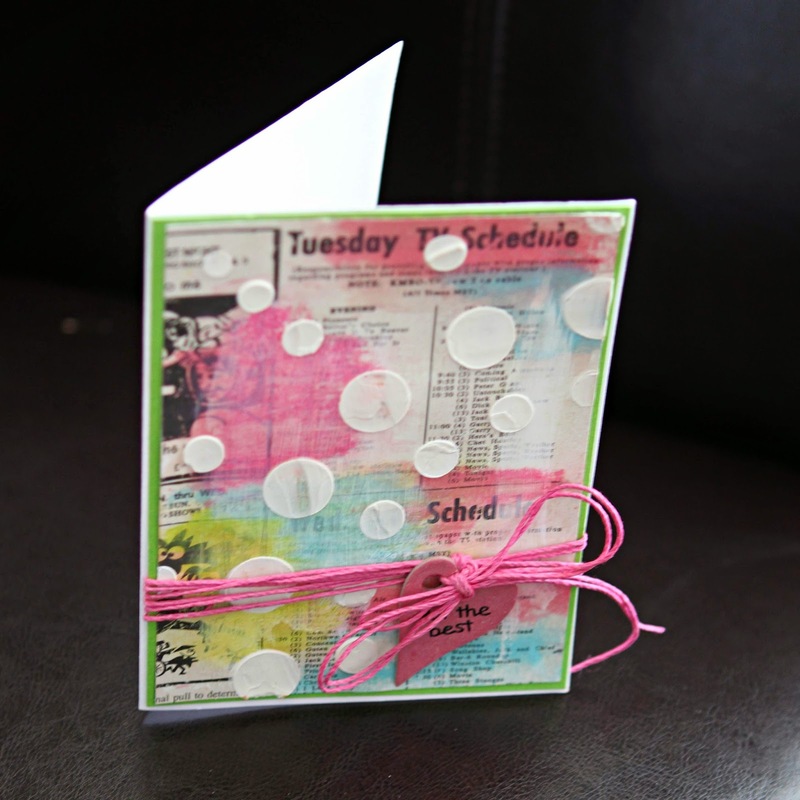 For this page, I became a bit bolder witht he gelatos and was very inspired by the many Mixed Media pinners on Pinterest. To create the background, I coloured the gelatos directly onto the page and heavily misted the coloured areas. I left the water saturated page to dry fully. The circles were created by stamping Mr. Huey mists with the cap of the mist. Using scraps of October Afternoon typography paper, I loosely arranged them into houses, coloured with gelatos and drew directly on them with the American Crafts Project Life markers. The clouds were die cut with Taylored Expressions cloud duo dies, were sponged with dye inks and outlined with American Crafts Project Life markers. The quote was pieced together with mini alphas and sticker words and then lightly sponged with dye ink. For the third page, I tried a technique from the Faber-Castell blog. Using a palette knife I roughly applied Dina Wakely black gesso to the journal page. Using my heat gun, I dried the gesso and then coloured on top of the gesso (in places) and the rest of the journal page with a gelato. Then applied Teresa Collins Moulding Paste to a Tim Holtz Stripe stencil to create the white irregular dimensional lines. 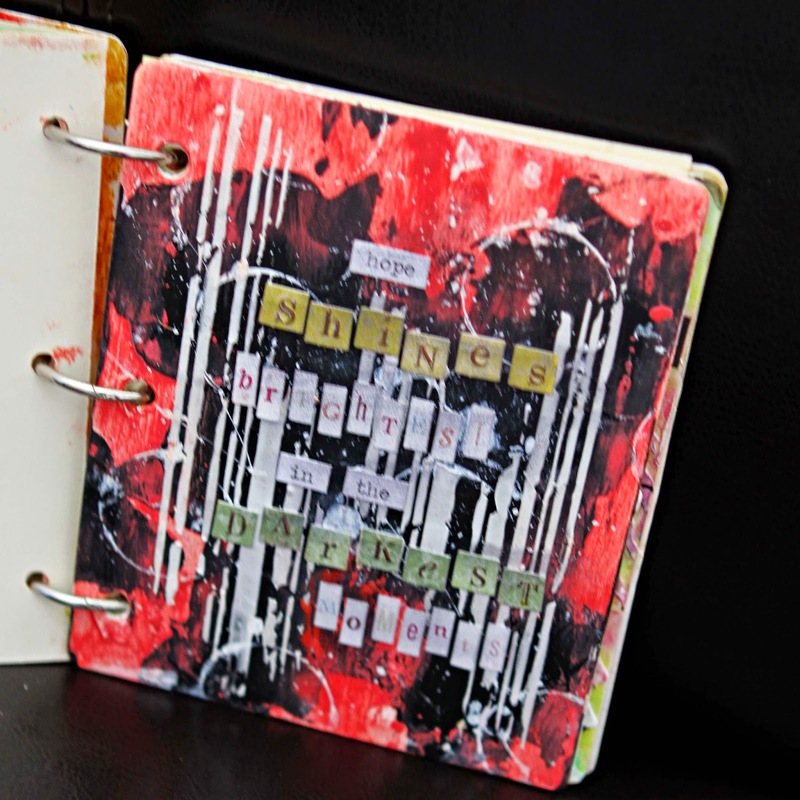 Then I added my quote using alphas from Chatterbox, Tim Holtz Ideology word phrase booklet and Making Memories. To age the quote, I dry brushed dye ink onto the alphas. I hope I have inspired you with my journal book. There will be a few more posts on the other pages of my journal. 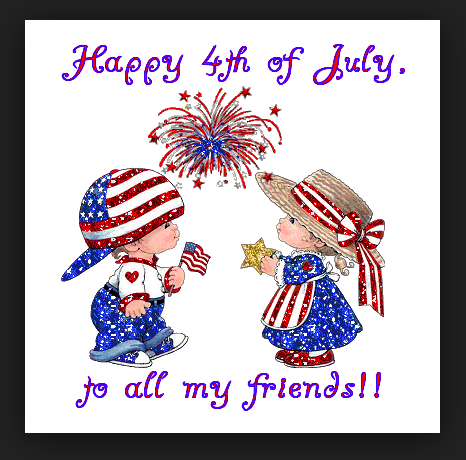 From all of us at Scrap Shotz, we wish all our American friends and family a wonderful 4th of July! 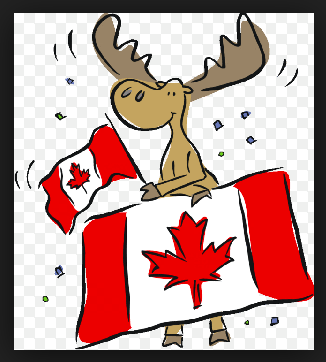 From all of us at Scrap Shotz, we wish you all a wonderful Happy Canada Day.